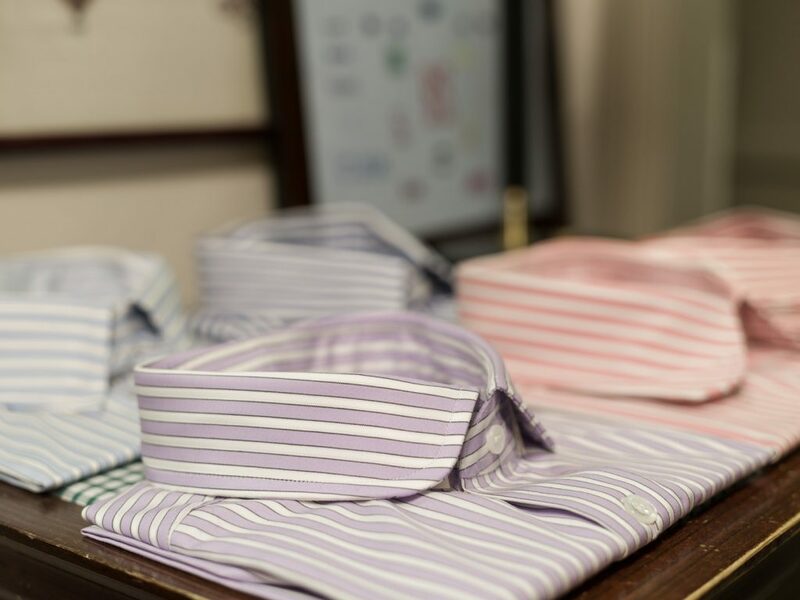 Budd’s exclusive house stripe shirt was originally designed in the 1920s. In those days it was made in silk and you can still see the original maquette hanging in the shop today. The budd stripe was equal width coloured stripe and edged with a fine black line interspersed with a timelessly white satin stripe to bring the design to life. The original silk cloth was pre-woven and kept in a factory on Silk Street, in Spitalfields. Unfortunately, the factory was hit by an incendiary bomb during the Second World War and was never seen again. It wasn't until the 1980s that the stripe was reintroduced and has since be made using cotton woven at a mill in Lancashire. It eventually became a tradition to revise the stripe every 10 years for a special edition of the shirt. 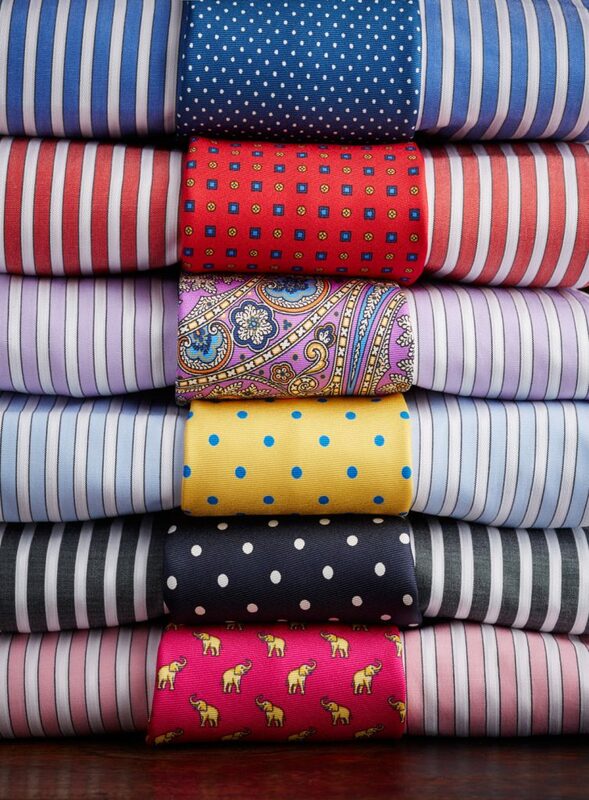 In 2010 it was decided that the shirt was so popular that it should become part of the regular stock. Today comes in 6 colours and traces its pedigree right back to the original Budd Stripe of the 1920s. 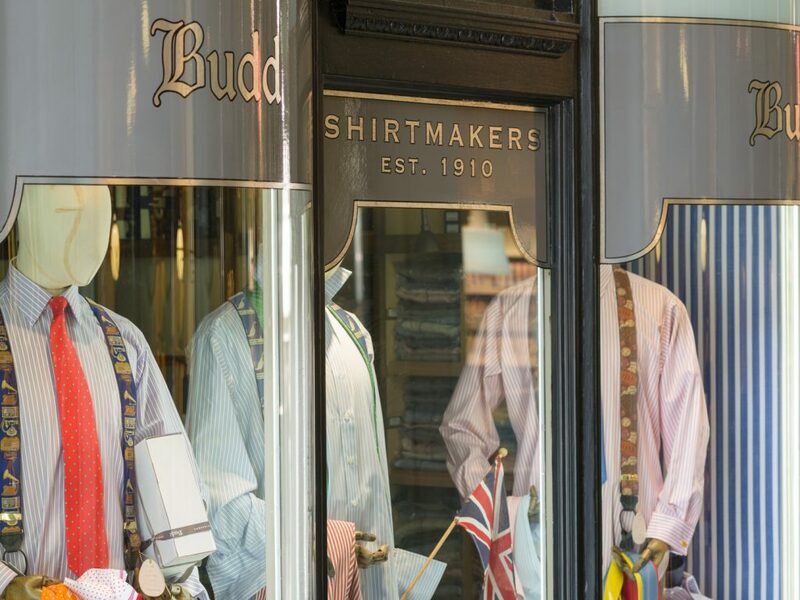 Shop our range of Budd stripe shirts here. The Budd stripe is now also available in pyjamas, dressing gowns and boxer shorts. 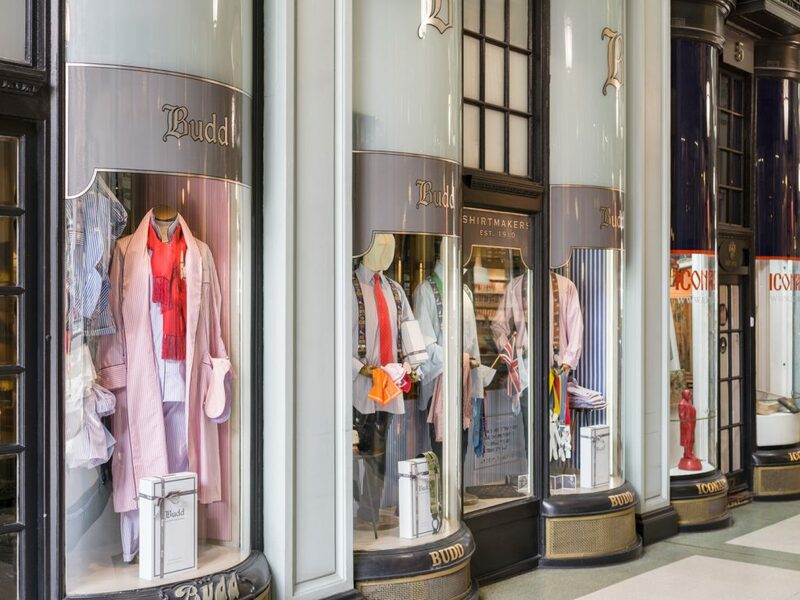 Don't forget to look out for our Budd stripe nightshirts which we will be launching in the coming months. 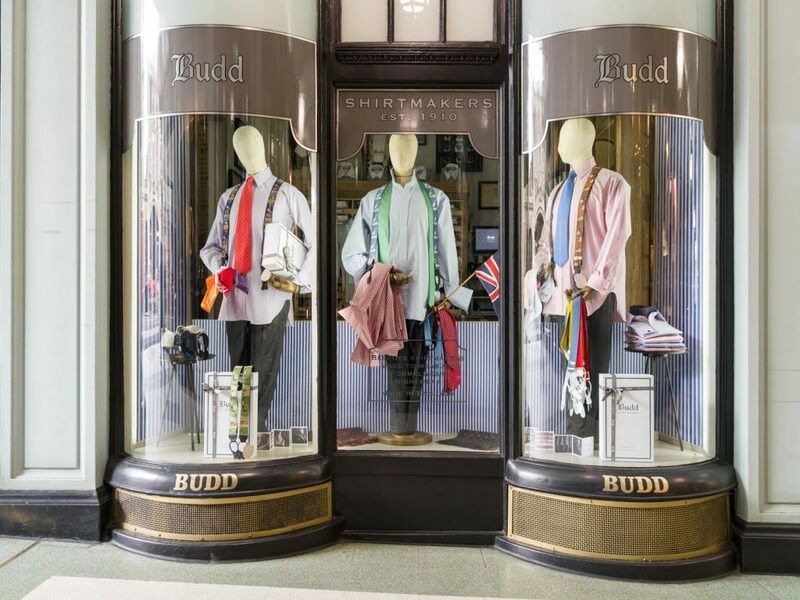 Click here to read our more in-depth post about the history of the Budd Stripe.